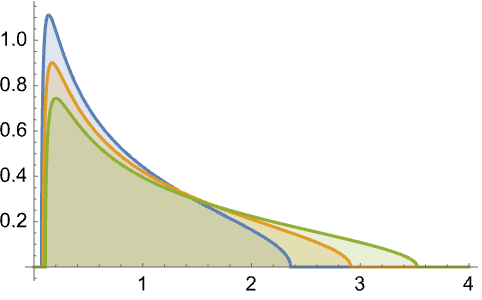 represents a Marchenko–Pastur distribution with asymptotic ratio and scale parameter . 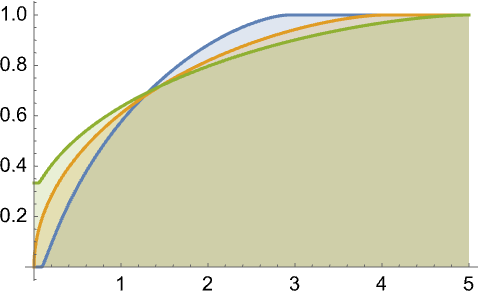 represents a Marchenko–Pastur distribution with unit scale parameter. MarchenkoPasturDistribution is the limiting spectral density of random matrices from WishartMatrixDistribution. 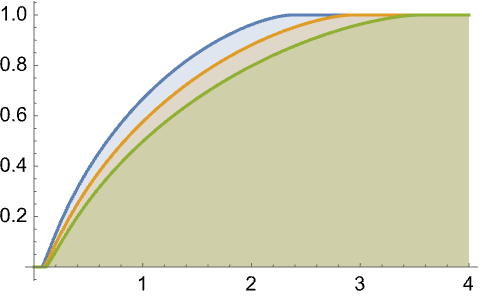 The derivative of cumulative distribution function at in a Marchenko–Pastur distribution is proportional to with for between and . 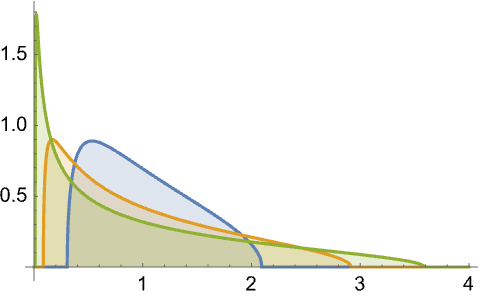 Marchenko–Pastur distribution has a point mass at with probability when . MarchenkoPasturDistribution allows and to be any positive real numbers. MarchenkoPasturDistribution can be used with such functions as Mean, CDF, and RandomVariate.